We hope to engage you in growing your social networks, and walking, to promote your mental health, during 100in1Day and beyond. We aim to inspire you to join or start a walking group to promote your mental and physical health. Hope to see you there! 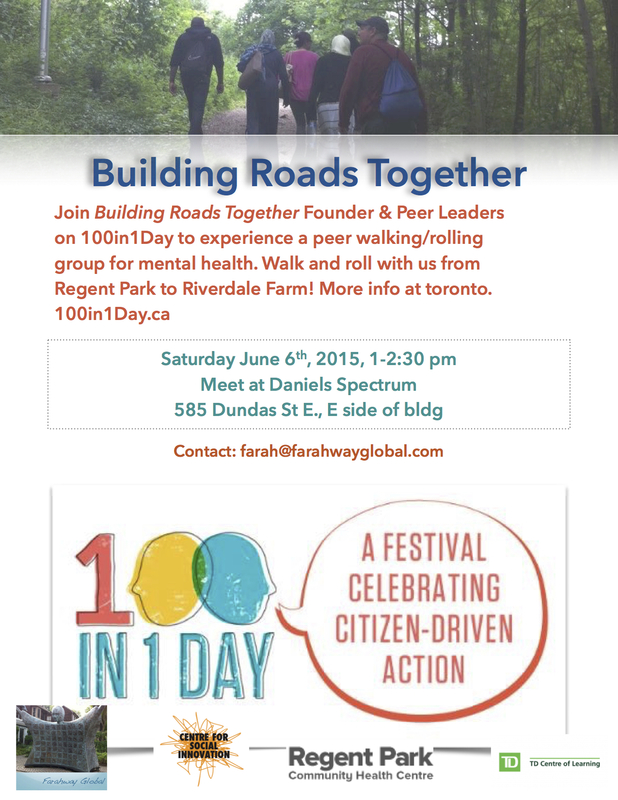 Learn more about our intervention, and our program, join in and invite your friends, and tweet @BuildingRoadsTO #100in1DayTO.